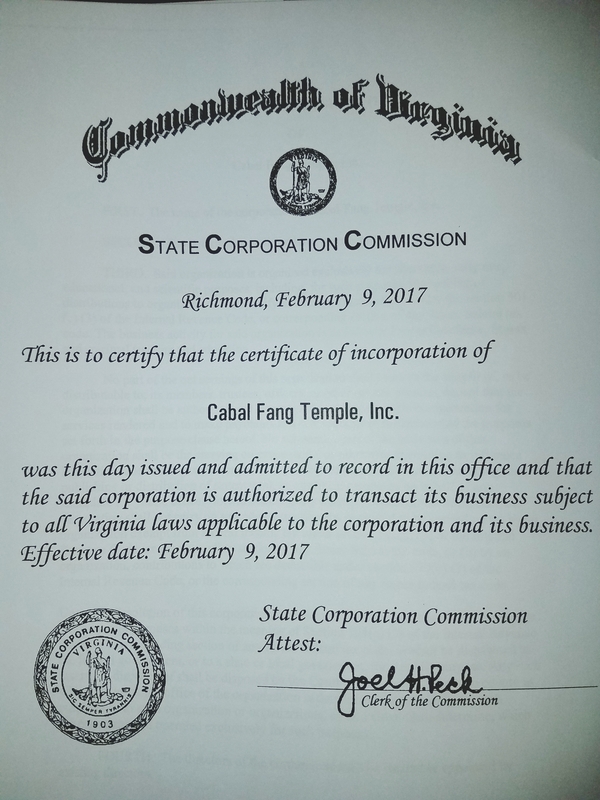 Incorporation and WOOTW #51 | Robert Mitchell Jr.
Cabal Fang Temple, Inc. is now a real live corporation in the Commonwealth of Virginia and its 501(c)3 application is in the final review stage. Fingers crossed, soon we’re going to be a real live, tax exempt non-profit. One of the things we’ve had to do is sharpen our message and streamline things so that there’s no ambiguity in our structure, message or actions. 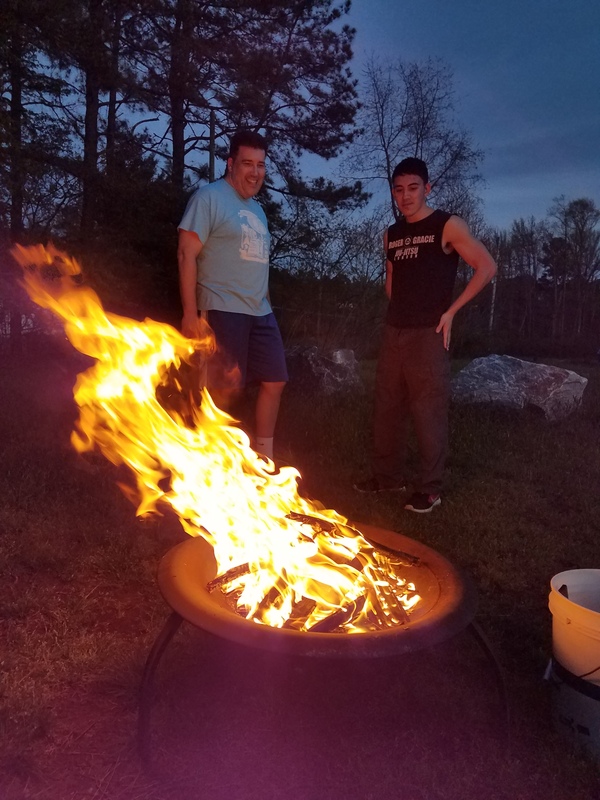 What that means is that the Order of Seven Hills martial arts club — the first and founding Cabal Fang martial arts group — is going to be changing its name to the Cabal Fang Temple. This was a tough call, but one that we agreed needed to happen in order to advance the art. In order to honor the fantastic work we did, the discoveries we made and the camaraderie we shared under the old name, we’re going to incorporate two of the things we do at the club into the Cabal Fang canon — our pledge and our flag. Look for them in the second edition of Cabal Fang: Complete Martial Arts Training Course from Querent to Elder. More to come. And now for the Cabal Fang Workout of the Week. Practice the Star of Ishtar for a minimum of 10 minutes (that’s the Cabal Fang version of a “combat clock”). Do this by attaching a pool noodle to a sturdy object at shoulder height using a bungee cord or rubber tie-down. If you have 10 minutes you can make an arm out of a pool noodle, a scrap of shrubbery, and a meter of duct tape (see video below). Full Pyramid of the following: Jackknife Push-ups, Jackknifes (bent or straight knee is fine), and Get-ups. Beginners to a peak of 5, intermediate 7, advanced 10+. The square of the peak = the total number of reps per exercise. This entry was posted in Uncategorized and tagged WOOTW. Bookmark the permalink.